Provide a bright future for Africa's children and its wildlife. Donate now. Children living in rural Africa often have limited access to education. Help us bring quality schools, passionate teachers, and an improved quality of life to these kids. 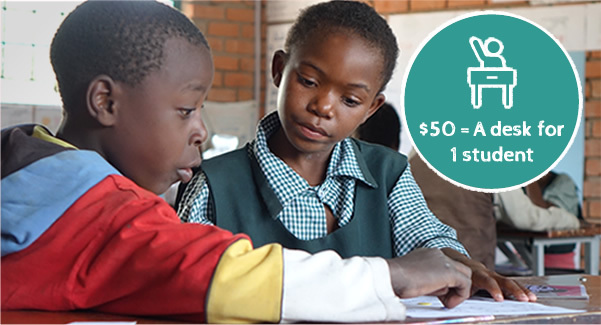 Your tax-deductible gift will help ensure a bright future for rural schoolchildren – just $50 provides a desk for a young student. Classroom Africa is a program of the African Wildlife Foundation, the leading international conservation organization focused exclusively on Africa. The core mission of Classroom Africa is to foster the link between education and conservation, ensuring a stronger future for Africa’s children and its wildlife.